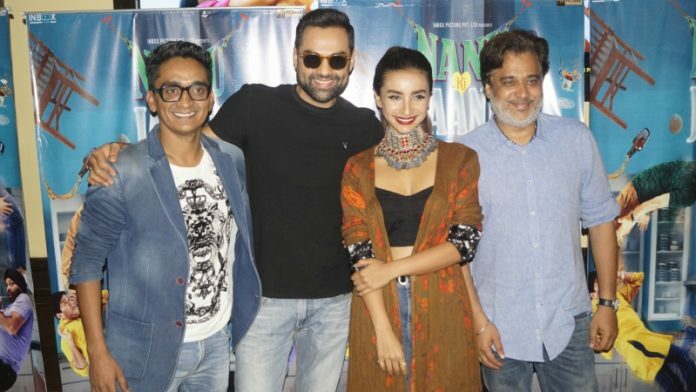 Known for being exceptionally choosy when it comes to films, Abhay Deol is back again with another film Nanu Ki Janu, a horror comedy releasing on 20th April 2018. 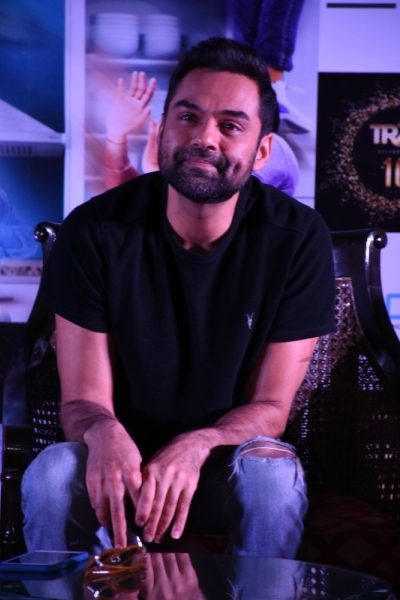 Abhay Deol’s candor personality is his USP apart from his acting skills. Last seen in Happy Bhag Jayegi in 2016, Abhay tried his luck at production and came up with his company with the name Forbidden Films which has taken on many powerful independent films. As Abhay was in Delhi for film promotions, we got into a quick chat talking about his career and his strong opinions on social issues. I do films that I believe in. If I had gone down the formula road, you’ll get to see a lot more films of me. I am not choosy but don’t go with the formula. Sometimes I don’t get films that excite me. Those films are being made in very less numbers. So there’s a long gap between the two films. I always try to do films where I can at least wake the consciousness of the public. I have done ads with the Signature brand but then I felt that I’ll only do ads with any alcohol brand if and only if it invests in responsible drinking. I will never promote smoking and it’s banned also. Even if you’re smoking in your life, why to advertise it. Whatever happened to the Signature brand was not their fault. I don’t blame them. I realized that it’s my fault only. They don’t have to do what I’m asking them to do but then I don’t have to be in that space. The brand must do some responsible marketing. Yeah, but I will never endorse fairness creams, colas. Whenever you have an opinion for the society, you can be misinterpreted. You can be judged in the wrong way. There are people who will think that I am doing this for publicity and I hate publicity. I think everybody in the media knows this. So it was really hard to do a Facebook post on fairness creams but it was an outburst. And now what I feel is that if an outburst does not give the desired output then you have to find a new way. You know whenever a celebrity comes up with an issue, the issue is forgotten and then the celebrity becomes the issue. Now when I see news of rapes, crimes, corruption I really want to voice my opinion but I think what if I become the issue. So the best way is to do it behind the screens. The position of women is always below men; it’s a man country whether in east or west and it has never improved. Some countries have come up with nice solutions regarding the gender equality. We should try to learn from those countries who have tackled the equality successfully. When the film industry is concerned, it is not isolated from the culture. Nepotism is there in another profession as well. When a son grows up he takes up his father’s business. When it comes to sexism, it’s not something that will go immediately from the industry but it will definitely get carried forward by the industry. If something we can do is stop feeding the beast. The more powerful roles women will get, the objectifying of women will get stopped.